Finished this the other day. I like it a lot, though I think I like the Fleming/Villazon set a bit more. Samson and Delilah on the PBS station. i liked it. preformed at the Met. All good, but not sure how Samson would be taken in by such a robust lady. Kaufmann is not the traditional Otello, nor Agresta that of Desdemona. Their singing is beautiful though and I quickly warmed to their characters. Vratogna, is not the most beautiful voice but has charismatic power by the six-pack and stands tall on the stage. The camera work is very good but with so many close ups, it does miss some things on stage and I had to explain to the wife what was going on off camera. I'd like to have some family home unfriendly sound levels; big choruses and all seem to be on sound levels too close. Otherwise everything else is somewhere between very good and brilliant. The sets are fantastic, the colours are beautiful (it must be a ultraHD or 4k or something ready recording), lights, chorus, blocking, costumes are all yes, yes, yes! 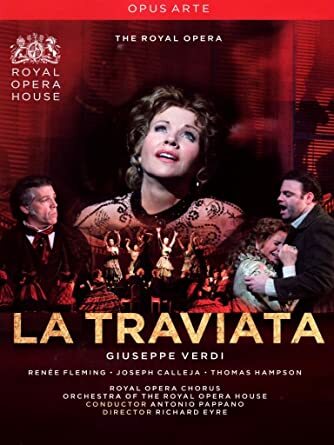 I recommend for all Agresta fans (there should be many), JK fans, Verdi fans, Otello fans and I just may push the boat out and say any opera fans. I can't comment on the DVD but I saw this in the house and agree with what you've said. However despite his six-pack power I don't like Vratogna's voice at all. I first heard him in Attila (Ezio) in Seattle and remember the then Director, Speight Jenkins, raving about him in the post-opera discussion. The discussion audience looked at each other in surprise and many shook their heads. I think he shouts. *Now* I wish I had tried to get tickets for this. I miss out on so much with a closed mind. I remember at the time thinking "this just sounds wrong" but having seen the dvd think that I missed something really special. Just finished this. 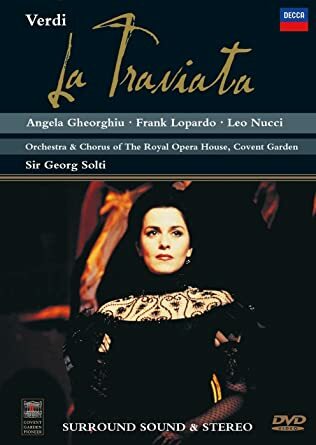 I was going to rank this below the first Gheorghiu DVD but now am not so sure. Both Fleming Traviata performances were gut wrenching in the third act. I did not get that with the Gheorghiu performance. Next up is the second Gheorghiu performance, so we'll see what happens. But right now I am thinking that Renee Fleming IS Violetta Valéry!